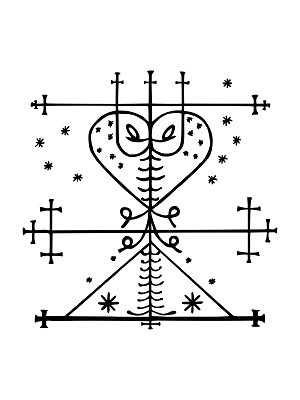 Maman Brigitte is considered to be a wild one. Her foul-mouth has made her a legend. She is the Goddess of the cemeteries but also that of justice. She is often invoked when contact with the dead is desired. She can open the portal so that you can contact those who have slipped this mortal coil. The frequency used is BETA with a musical accompaniment, which will put you in a state To fully Realize Maman Brigitte's Awesome Powers.